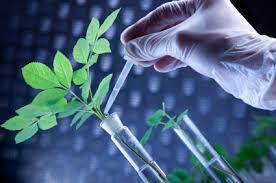 Broadly defined biotechnology is the use of living organisms to make a product or run a process. This definition includes such traditional processes as using bacteria to make yogurt, cheese, and vinegar as well as the use of plant or animal cross-breeding techniques to produce stock with enhanced qualities. It includes methods to modify the genetic material of living cells so they will produce new substances or perform new functions; and genetic engineering and genetic modification, or more generally to moving or transferring genetic material between sources. Plants can be genetically modified to increase yields, enhance insect resistance reducing the need for pesticides, enhance protection from viral or fungal disease, or increase tolerance to herbicides to make weed control more effective. This program is jointly offered with Seneca College and is only open to students completing the Biotechnology Technologist (Research) program in the School of Biological Sciences and Applied Chemistry at Seneca College.